On The Day, for reasons still unknown, people began changing. They went to sleep as their old selves and woke in their beds in different bodies: bodies that had belonged to other people. And each time they fall asleep, they wake as someone new. Set months later, “The Only Certainty” follows Derrick Gorton on an average day in this new world as he deals with food shortages, the semi-collapse of society, and how to finish his latest novel. In those first hours, leaders from around the world asked in vain for people to remain calm; as if waking up in a different body was something normal, to be expected. But they were quickly drowned out by the theorists. Some claimed this had to be an act of a forgotten, mischievous god while others thought it was clearly the prelude to an alien invasion, and still others opted for it being some bizarre science experiment gone awry. Worse yet, nobody knew if this was a one-time event, or if it would keep happening every time people fell asleep. In those early hours the only thing obvious was that nobody had a clue. And in this mass of confusion came the first video of The Change. Somewhere in Russia, a group of people had gathered together in an apartment to help each other stay awake. They were filming – the translator explained – last messages for their families. Then, in a corner, an old, frail woman fell asleep. They went to wake her only to see her skin become fluid and her body shrink even more. A few seconds later a young Chinese girl lay before them. The camera whipped around to see several people running from the apartment. After about a minute of arguing between those who remained, the girl was shaken awake. She opened her eyes and talked to them, in Russian. According to the translators, this young Chinese girl knew everything the old, Russian woman had known. For hours, Derrick and Carol watched the news and talked with her mother. But eventually, her mother’s phone died, and they were left alone. They sat on their couch watching the world end; holding each other and drinking cup after cup of coffee. 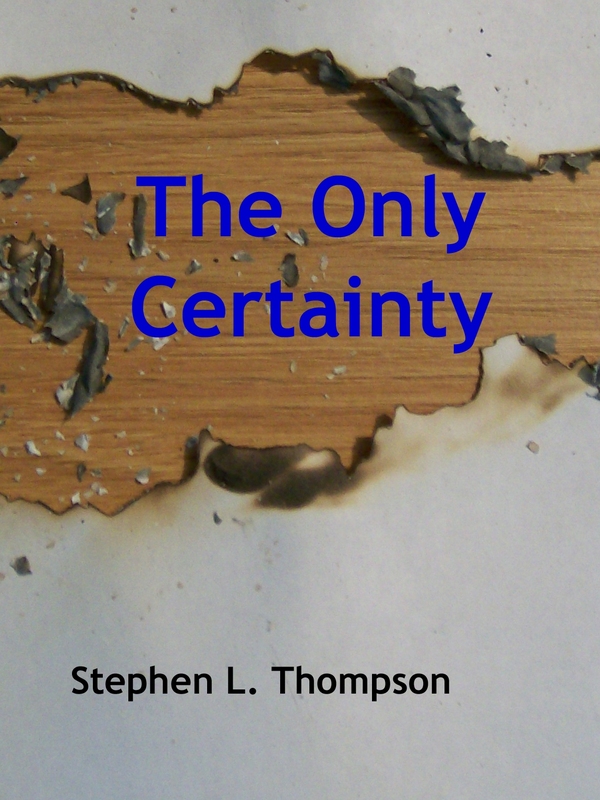 If you are at all curious, you can find “The Only Certainty” on Kindle. “The Most Powerful Man in the World and other stories” is a collection of five of my short, scifi stories to provide a sample of my writing. It will be free to download on Kindle from now through Monday, April 27, so grab your free copy now. Here are short blurbs for the stories included. A being from the distant future with almost unlimited powers comes back to help Ian Steele make the world a better place in “The Most Powerful Man in the World.” The bookstore customer has an entirely different reason for wanting books in “Black Market Books.” “Motherhood” tells the story of Thomas Gillespie, the surrogate mother for an AI. “Storyteller” is about an author thinking his book into existence. And “Deadworld” is about the alien world humans are reborn on – in alien bodies – after they die. “What happened?” Ian asked from the floor. For safety reasons, and to avoid paradoxes, Time Travel Incorporated assigns a Guardian to all its travelers. So when there is an accident during political historian Roj Hasol’s trip back to 1968, it’s his Guardian Susan who sets out on the arduous task of cleaning up the mess. As the sun rose over the ocean’s edge, Roj Hasol washed ashore in a dark blue, serge suit, a thin, navy blue tie and black wing tips. His body remembered to cough out the seawater and breathe. His body had to do this on its own for his mind was scrambled. A few minutes later, a two-meter tall, lithe woman with pale skin, jade eyes, and short dark hair walked towards him along the beach. She wore a black body suit that fit seamlessly into her black gloves and black boots. On her hip was a holster. Roj just looked over her shoulder, unaware of her existence. “If you can hear me, I’m here to help you.” She took a small device from her belt and held it to his chest. It buzzed for a few seconds, then an indicator light turned red. Putting the scanner away, she drew her blaster. “I’m sorry,” she said and placed the muzzle to his temple. The wind blew snowflakes into Susan’s face. Looking around all she saw was snow. But then a small mound at her feet drew her attention. She knelt and brushed away some snow to reveal a black wing tip. Moving to the other end of the mound, she uncovered the frozen face of Roj Hasol. She took her scanner out and held it against his forehead. It buzzed for a few seconds, then the light turned red. Returning it to her belt, she drew her blaster and vaporized the corpse. The snow held the shape of Roj for a second, then collapsed into the now empty cavity. As Susan stood up, she heard a bellow in the distance; a herd of mammoths were on the march. 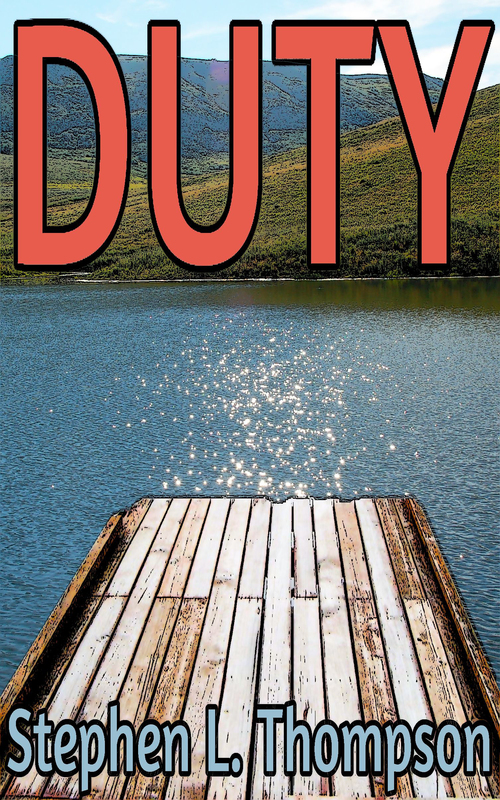 If you are at all curious, you can find “Duty” on Kindle. Partway to a new colony world, board member Geoffrey Ames is woken from hibernation by the caretaking crew of the Lucian. They require him to look into the matter of their fellow crewman Morgan Heller. Morgan’s claims – such as being over 1500 years old – would normally land him in the psychiatric ward, except he can back up some of his other claims. Delara and Geoffrey entered the cell. Along the far wall were a bed and a toilet. A small table had been placed between the bed and door, along with three folding chairs. Without ceremony, Delara set the first aid kit on the table and sat down. Geoffrey paused and studied the prisoner who stood on the other side of the table. Morgan Heller was below average height, but with plenty of muscle. Geoffrey looked from him to Delara, but her face was turned away. He looked back to Morgan and nodded before sitting down. “I’d offer you a drink, but,” Morgan spread his hands, “I must have misplaced the key to the wine cellar.” He chuckled to himself then sat down. Delara only smiled and opened the first aid kit. She took out a pair of scissors and held them up in front of Geoffrey. She opened and closed them a few times, and turned them around so he could see both sides. “What are you doing?” he asked. Instead of replying, she slid them across the table to Morgan. Morgan sighed. He picked up the scissors, opened them, and then swept a blade across his forearm. Against his better judgment, Geoffrey turned to look at Morgan’s arm. The wound wasn’t deep, with only a little bit of blood. But then he watched as the wound closed. The edges of the skin just rejoined. Delara sat back down and took a wipe from the kit and passed it to Morgan, who cleaned the blood from his arm. A light pink scar was the only indication something had happened. “There is security footage of the accident as well as his healing,” Delara stated. Geoffrey looked from Morgan’s arm, to the scissors, to Delara, then to Morgan’s smiling face. “If you’ll excuse me,” Geoffrey said, then he turned and left. 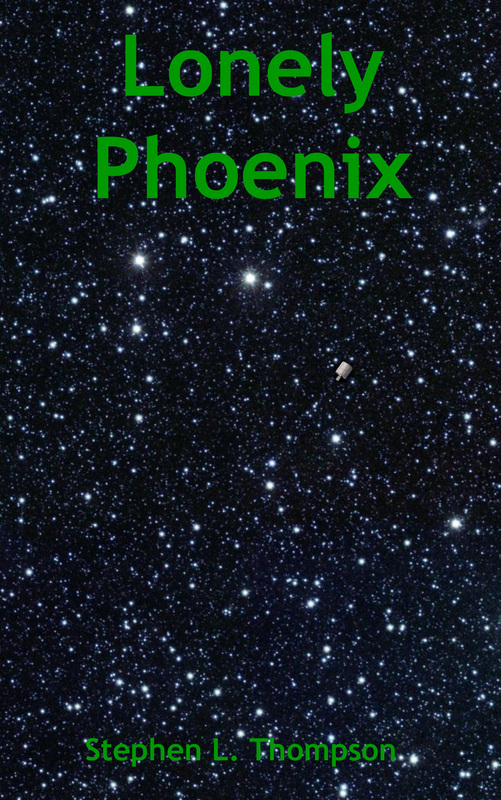 If you are at all curious, you can find “Lonely Phoenix” on Kindle. “Rise” is a stand alone story set in my Human Republic Universe. The story follows some of the events after the tragic deaths of the colonists in a small colony in a distant star system. There were days when MP Lyn Rankin just hated the Earth. Especially Africa; especially Kenya. On the human level, she could understand Sandra Lewis’s idea of placing the Capital of the Human Republic – this brand new step in the history of Humanity – on the continent that gave birth to Homo sapiens. On a political level, she could appreciate using the location of the Capital as a way to placate a continent for centuries of abuse and neglect. But on the personal level, she hated being here. The air was too thick, too heavy, too dusty or, on days like this, too humid. The window of her cab was streaked with water. How anyone could find rain beautiful, something to look forward to, was beyond her. Even inside her sealed cab everything felt damp. To take her mind off the rain, she again tried to figure out the summons to see President Väkelä. It must be Trident Colony, she thought. But if it had been attacked by pirates or rogue Lumens, you call out the Guard and Navy to hunt them down. You inform their MP, but that does not require a meeting with the President. Unless, something else had happened. Maybe the colonists were being held captive. But what could she do? The Human Republic would not negotiate with terrorists. An epidemic? Call in the CDA. Then – to make things more confusing – Lyn wondered what if something wonderful had happened instead? What if the colonists had found evidence for another alien race, one the Pentans did not know of? Would that warrant a meeting with the President? She had been down this road several times before, but could not get anywhere. To take her mind off the problem, she looked back out the window. 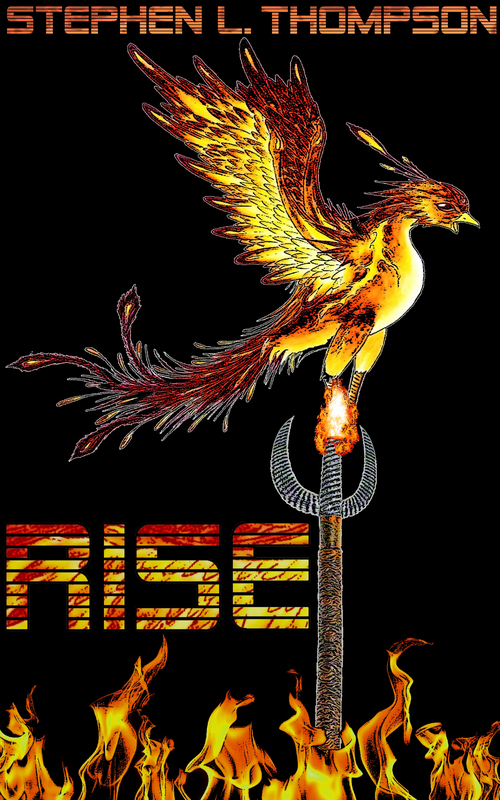 If you are at all curious, you can find “Rise” on Kindle. Hopefully, in the not too distant future humans will return to the moon. We will build bases and colonies, create farms and factories, and live, love and learn. 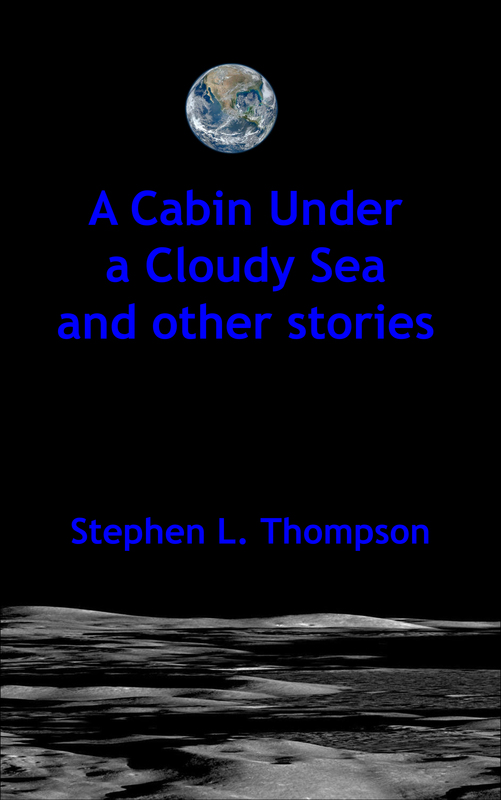 “A Cabin Under a Cloudy Sea and other stories” contains five short stories set upon the moon. They give the tiniest glimpse of the possibilities awaiting us there. Spreading her arms, Julie stated, “I’m talking to you from what in the station specs is referred to as ‘the common area,’ but here at Armstrong we call it The Bunker.” She shrugged and explained, “The name was here before I was, so don’t ask me why. Anyway, this is where we usually make our media presentations, but it’s also where most of us eat, play games, and watch movies every Tuesday and Friday night. And today, thanks to you, it’s becoming even more. Out of the corner of her eye, Julie saw several of the staff laughing silently as they showed off their socks. She clenched her jaw for a second, before continuing, “But the reason for today’s video is this.” She held up the package: a thick plastic tube about a meter long. The tube had already been opened, so Julie only had to slide the top up off the contents. If you are at all curious, you can find “A Cabin Under a Cloudy Sea and other stories” on Kindle. 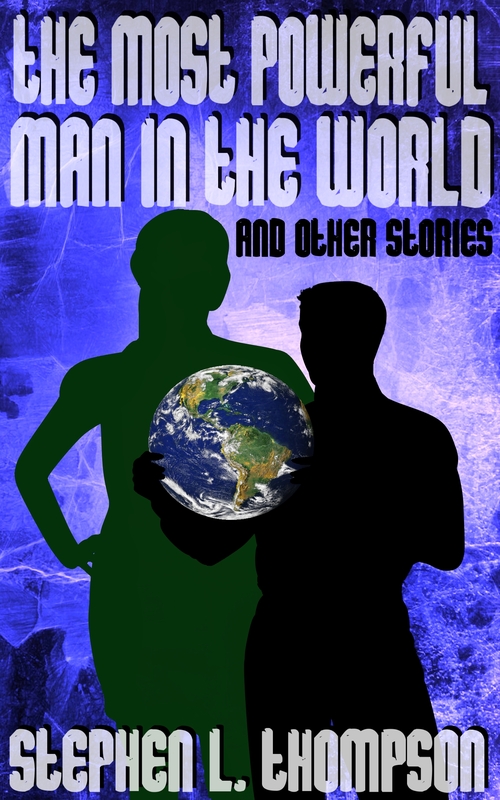 “The Most Powerful Man in the World and other stories” is a collection of five of my short, scifi stories to provide a sample of my writing. A being from the distant future with almost unlimited powers comes back to help Ian Steele make the world a better place in “The Most Powerful Man in the World.” The bookstore customer has an entirely different reason for wanting books in “Black Market Books.” “Motherhood” tells the story of Thomas Gillespie, the surrogate mother for an AI. “Storyteller” is about an author thinking his book into existence. And “Deadworld” is about the alien world humans are reborn on – in alien bodies – after they die. If you are at all curious, you can find “The Most Powerful Man in the World and other stories” on Kindle.